This past weekend was a long weekend for us Canadians celebrating Victoria Day. Victoria Day is commonly referred to as May two four because of it’s proximity to May 24th and a case of beer has 24 bottles in it. As such I thought it would be appropriate to share with you my favourite 10 beers. A fantastic German Weisse (pronounced Vice) beer. Weisse or wheat beers are cloudy because they are unfiltered leaving sediment in the bottle. The less filtered a beer the cloudier, but more flavourful it is. You will find this beer to be well carbonated, spicy, and has some citrus notes to it. This is a refreshing beer and my favourite. An excellent winter beer. 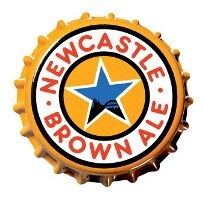 Newcastle Brown Ale has a ton of flavour to it and goes down smooth. It is somewhat pricey compared to the other beers but well worth it. Newcastle truly is a beer to savor rather then guzzle. Not nearly as popular as the other beers in the list, but equally as flavourful as any of them. I had to put La Maudite in 4th only because I don’t get to drink it much. I’ve only found it on tap in two bars and I don’t believe the LCBO carries it on it’s shelves anymore. If you come across this and like red beers do not pass this one up. It is one of the smoothest beers I’ve ever had with a hint of spice to it. Really a great beer. Upper Canada hit it’s peak about 5 years ago. Since then I’ve hardly seen it in any of the bars and as they say out of sight out of mind. But I still can’t forget the first time I had Upper Canada Dark. A fantastic rich dark beer that should be drunk slowly to appreciate all the characteristics of this beer. 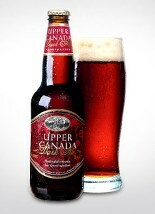 Upper Canada has a great line of beers including a Wheat beer and a Maple lager. Give it a try sometime. 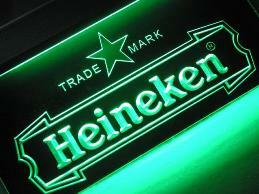 One of the most popular beers in the world and easily recognizable. When presented properly in it chalice it really makes you feel like you are drinking something special. 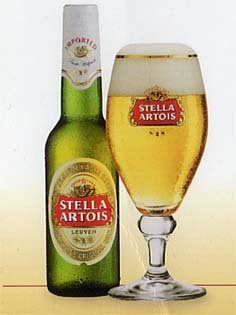 Stella Artois is a dry beer with a little bit of bitterness that makes it refreshing. This beer is from Thailand. It is a light well carbonated crisp beer. On its own Singha is an average beer, easy to drink, but really doesn’t do anything special. However, combine this beer with spicy food and it is a perfect match! The carbonation and mild flavour is an excellent partner to a Thai spicy chicken dish. Keith’s Red is quietly moving into all the pubs in my area. I’m a big fan of red beers, but there aren’t too many out there and only a handful are actually good. Keith’s Red is a smooth, easy drinking red ale, that provides a little more flavour then pale ales and lagers, but is equally refreshing. Keith’s Red is on par with Carlsberg Red and Riccards Red. Pilsner Urquell is the king of Czech beers. Czech style pilsners became popular in the mid 1800’s and have only become available in Canada within the last 5-7 years. Pilsner Urquell is entirely different from any other pilsner/lager I’ve tasted. The flavour from the barely and hops fill your mouth as you drink it and leaves a very strong after taste. Keep an open mind and give this a try. Moosehead Lager rounds out my top 10 as my most drunk beer. Brewed in Nova Scotia Canada Moosehead is Canada’s largest independent brewer. Moosehead Lager competes against other Canadian giants such as Labatt’s Blue and Molson Canadian. In my opinion Moosehead beats Blue and Canadian hands down. It is equally refreshing and has far more flavour. Next time you are going to pick up some beer vote for the little guy by picking up some Moosehead. BTW Moosehead Light is an excellent light beer as well!